Ah, the Village. A spot you used to just pass through on your way from the south of the city to downtown, the area has become a hub of culture and nightlife in Winnipeg. The growth of the area’s influence is notable, and now many of the cities finest shops and restaurants can be found here; at one time the streets were barren on weekends, where now people can be found bustling about on a Friday at 2 in the morning, looking for a slice from Little Pizza Heaven. The success story of this area really is remarkable; it’s full of local shops that drive culture. There’s incredible diversity of goods and services here; tattoo parlours, health shops, vintage clothing stores, and loose tea vendors. The variety is inclusive, and you’ll feel welcome in any of these shops. Winnipeg staples like Into the Music and Wild Planet make their homes here, and new up-and-comers are always hustling to make a name for themselves in the Village’s constantly changing scene. The restaurants in the Village reflect Winnipeg’s incredible mosaic of cultures; you can find Italian, sushi, Thai, Mexican, crepes, waffles, burgers, whatever you like! There are fancy restaurants like Segovia for when you’re feeling ritzy and the classic Spicy Noodle House for incredible peanut noodle soup. These spots all stay open late on weekends to accommodate the bar scene, so you’ll be sure to find something tasty on even the latest of nights. Things are always happening in the Village, so you won’t get bored. Canada Day out here is one of the most exciting parties in the city. People are always gathering in the Village, so you’ll meet new friends on the regular. You can do yoga, go to the spa and get a haircut, all in the same few blocks of the neighborhood. Once your invigorating day is done, get out for a night on the town; you can grab a martini, go to the Toad’s Whisky Bar for what might just be the best Old Fashioned in the city, or enjoy the view from Upstairs. When going out for a drink seems like a bit much, you can enjoy the stunning walks around the Village. Take a stroll to the Legislative Building and bask in the beauty of the grounds there. A hike down the river path, towards or away from the Forks, is bound to be a wonderful adventure, day or night. 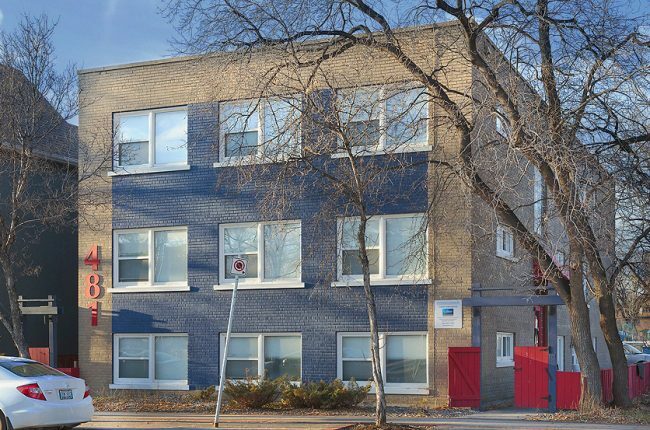 481 Corydon is one of the best Winnipeg apartments because it’s so close to the Village; just a quick walk away. The apartment is right at Confusion Corner, so it’s just as easy to get to one of Corydon’s amazing Italian restaurant or to grab Rapid Transit down Pembina to the University. The pet-friendly apartment is a great spot for your furry friends; you can take them walking through the Village with you, or down one of the river paths. Culture, amenities, affordability, and access make this spot an incredible place to live.